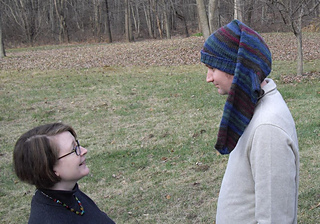 My friend Laura wanted to knit a hat that was essentially a giant sock to put on her head. 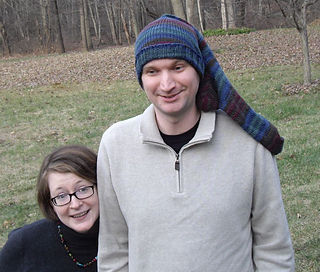 (Or, rather, the head of her sweet baboo.) 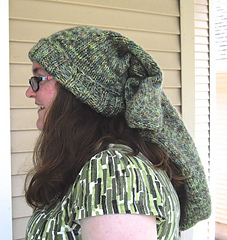 She thought she’d seen such a pattern on Ravelry, but could not find one. So I decided to save her by writing the pattern she needed. 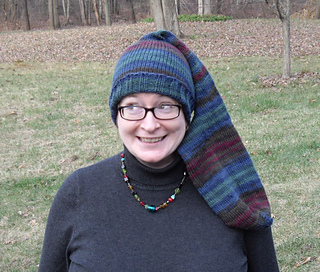 The Sock Hat can be made in a variety of different yarns of different gauges, can be worked toe-up or cuff-down, and can also be made striped. 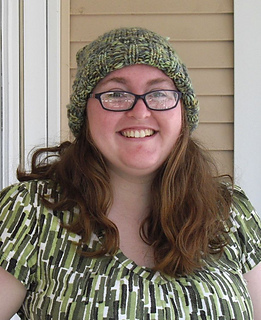 Techniques needed: knit, purl, m1 increase, ssk decrease, k2tog decrease. If you do cuff-down construction, then kitchener/grafting as well. Also used: JMCO, JSSBO, short rows; links are given to tutorials for these techniques. Pattern includes instruction for 8 gauges ranging from 2.5 st/in. to 5 st/in. 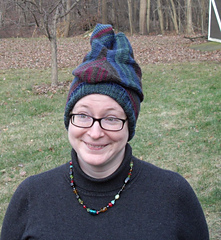 If you can make a sock, you can make this hat.